September 7, 5:30 to 6 p.m.
“We’re kicking off our Grand Opening 2.0 Weekend in style! 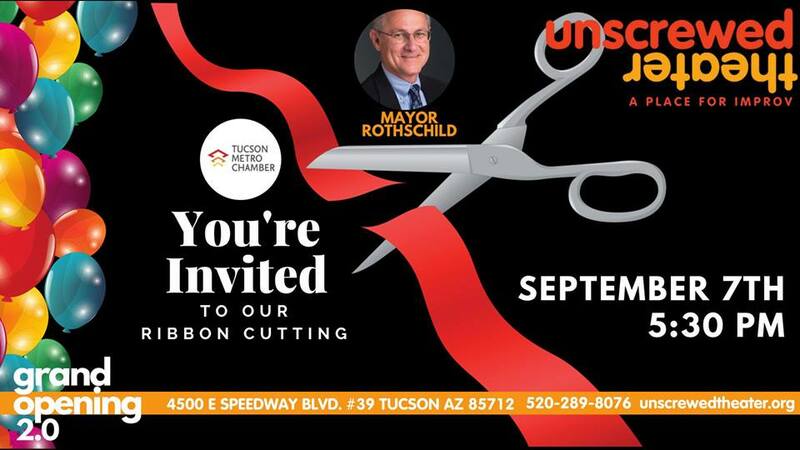 Join us for a ceremonial celebration with the Tucson Metro Chamber, its Ambassadors, and Mayor Jonathan Rothschild. There will be scissors. There will be ribbons. There will be scissors cutting ribbons, making the #UnscrewedMove complete! 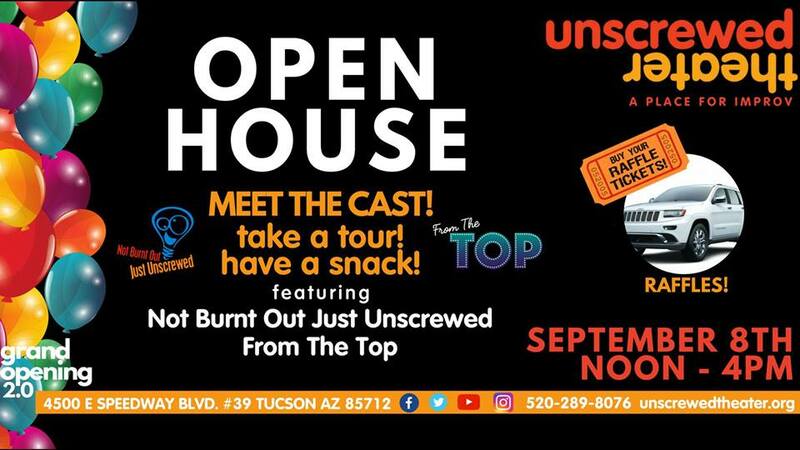 For tickets to Super-sized shows for the grand opening weekend — go to https://www.unscrewedtheater.org/.